Whether you love nonstop action while on vacation, or you like to slow things down a bit, you'll enjoy a trip to San Francisco. This California city offers all the action and excitement that you crave in its bars, restaurants and nightclubs, but it also features farm to table restaurants, art galleries and museums that are perfect for those looking for a quieter and more relaxing vacation. Before you stay anywhere else, check out Powell Place at Nob Hill, which offers timeshares that are great for those who love this big city. The gorgeous suites offered at Powell Place at Nob Hill will make you never want to stay in a San Francisco hotel ever again. 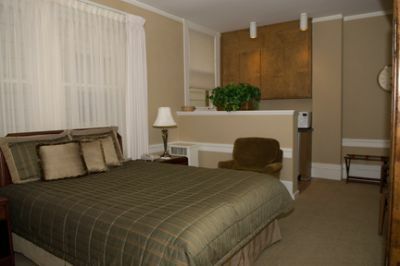 Studios are charming timeshares that are great for romantic getaways. These rooms only sleep two but come with a private bathroom, and you can opt for a bathroom with a tub or a shower. 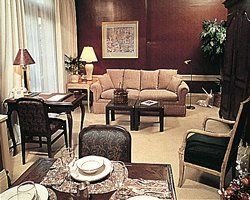 Its larger suites are better for those traveling with children. These suites come with a pull-out sofa and a separate bedroom with a queen bed. 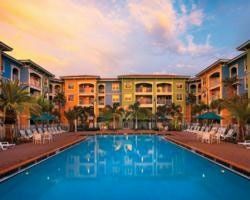 When you purchase one of these San Francisco timeshare resales, you'll have plenty of amenities at your disposal, including an ironing board, iron, hairdryer, microwave, coffee maker and toaster oven. 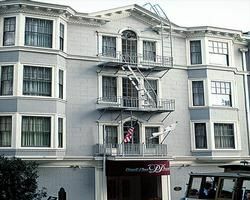 With a convenient spot right in Nob Hill, this resort puts you close to some of the best attractions in San Francisco. You can spend the day exploring Alcatraz, take a tour of the older buildings on Angel Island, walk along a nearly four-mile gold trail or cross over the Bay Bridge. Many tourists also like exploring the park surrounding that bridge. You may want to check out the Castro District, stop by Fisherman's Wharf or tour Chinatown. No trip to San Francisco is complete without a ride on a cable car, and you can pick up one of these cars near Powell Place at Nob Hill. With San Francisco timeshare resales, you can visit the city during the busy summer season, see the city during the holidays and visit at the time you want. Look for discounted resales for this resort and start planning your next visit today. Contact Powell Place at Nob Hill Specialist Today!